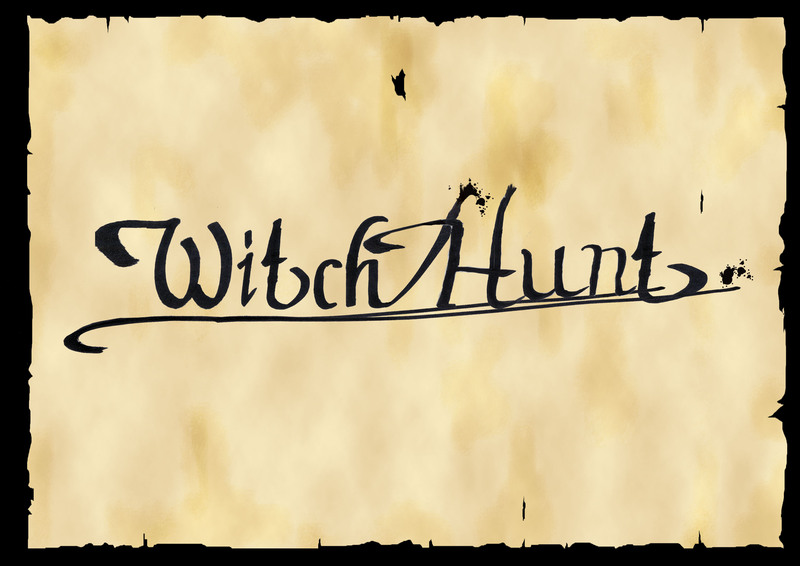 As you may already know Epping Forest District Museum has a selection of Touring Exhibitions available for hire – one of which covers the theme of Witch Hunts. For our Halloween Special Blog here is a little bit of information from that exhibition. Women were associated with witchcraft because of links between femininity and weakness to temptation. Many deaths blamed on witchcraft occurred in female spheres within households and neighbourhoods. Despite this, 20% of witches were male. An infamous case involved John Lowes, the vicar of Brandeston in Suffolk. He confessed to sinking ships and other terrible crimes, and was hanged at Bury St Edmunds in August 1645. Some believed that witches met at night in remote places, to which they travelled through the air on broomsticks. This is rarely mentioned in legal records relating to witchcraft. 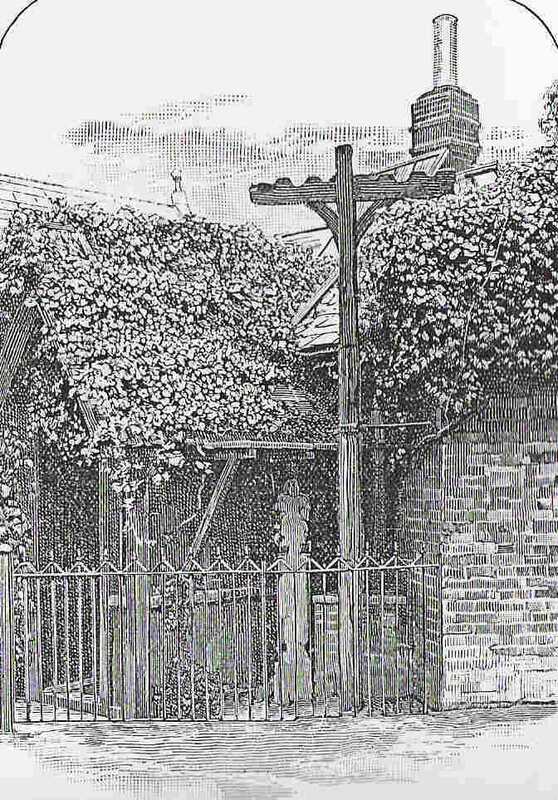 In 1712 an English judge is said to have laughed at the suggestion that a Hertfordshire witch had a magic broom, declaring that there was no law against flying! The terrifying image of English witches being burned at the stake has featured in horror films like Witchfinder General (1968). Although witches were burned on the continent and in Scotland, other types of execution included beheading, drowning and burial alive. Some were merely imprisoned, banished or forced to repent. In England, the punishment for invoking demons and murder by witchcraft was hanging. A rare witch-burning took place at Ipswich in 1645, when Mary Lakeland was executed by these means for bewitching her husband to death – the crime of petty treason. Estimates of the number of people executed for witchcraft varies wildly, reaching as high as 9 million. Legal records show there were around 100,000 witch-trials in early modern Europe, and that death sentences were passed in about half of these. This may seem a lot for an impossible crime, but compared with the size of the population witchcraft prosecutions were quite rare. 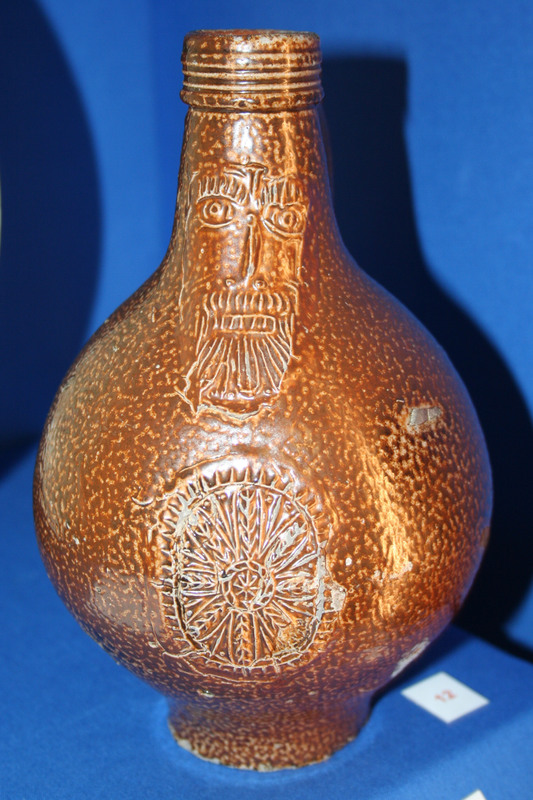 Bellarmine jugs have often been used as ‘witch bottles’ and the bearded or ‘wild’ man figure was even thought to scare off witches. When used as ‘witch bottles’, these jugs would contain hair, nail clippings and urine, all believed to help capture evil spirits. Witches spells were considered harmless if these bottles were burned at midnight. Small glass bottles, like the type shown here, have been found in many 16th and 17th century houses. Many contained salt or nails- all considered effective safeguards against witches. 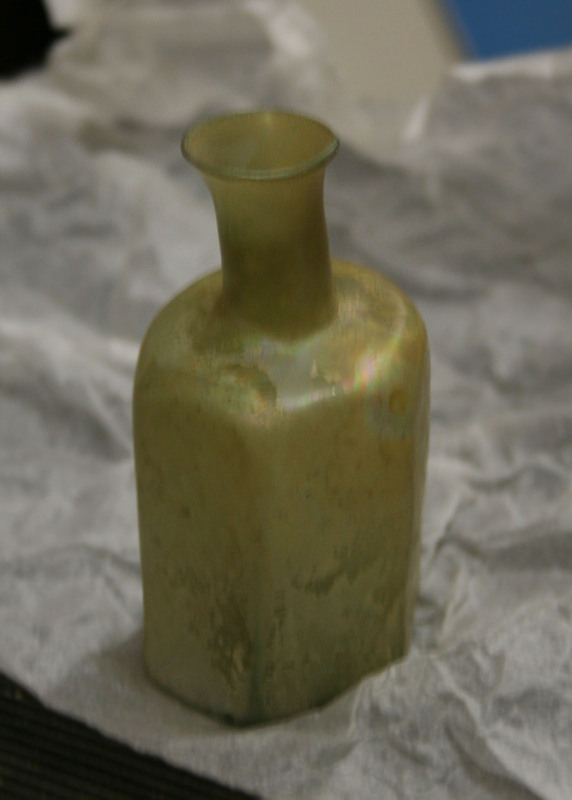 This and other glass bottles were found in 1966 during the excavation of 46/48 Sewardstone Street, Waltham Abbey. This exhibition was put together by Epping Forest District Museum in conjunction with Malcolm Gaskill.